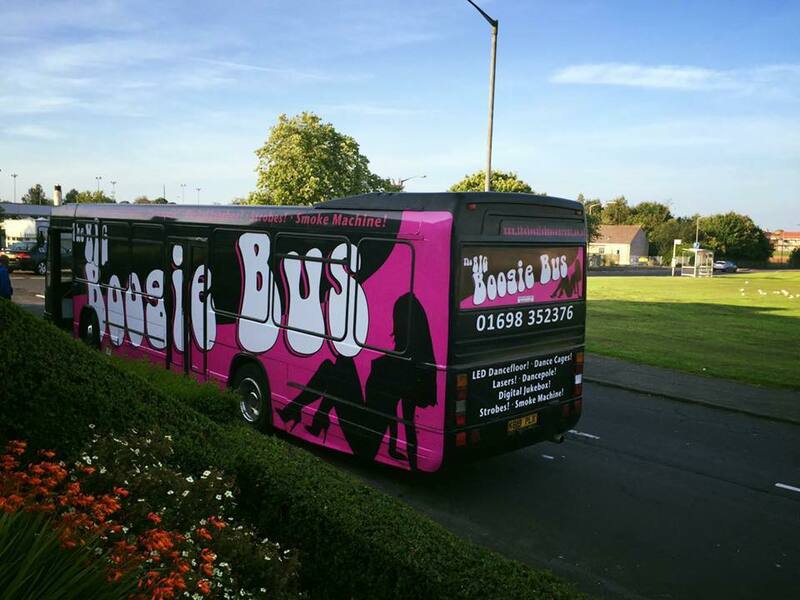 Welcome to The Boogie Bus Company serving central Scotland and providing you with some of the best Party Buses available seating upto 16 kids or adults and catering for Hen Party,Kids birthdays,Special events,Concerts and Weddings, we can include extras from private dancers to kids favourites like Peppa Pig,Hello kitty and much much more. We supply FREE soft drinks on every hire and adult hires are welcome to bring there own alcoholic drinks aboard. As with all our part buses we are equiped with safety belts as standard and we do insist you do not stand while the vehicle is in motion. 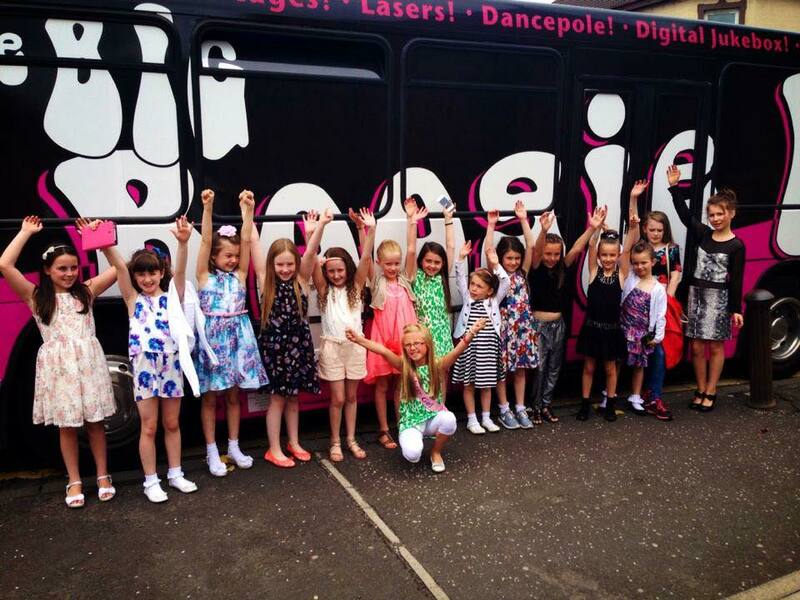 Our 16 Seater Boogie Bus is the ultimate party bus covering Glasgow,Edinburgh,Ayrshire,Lanarkshire and all surrounding areas. 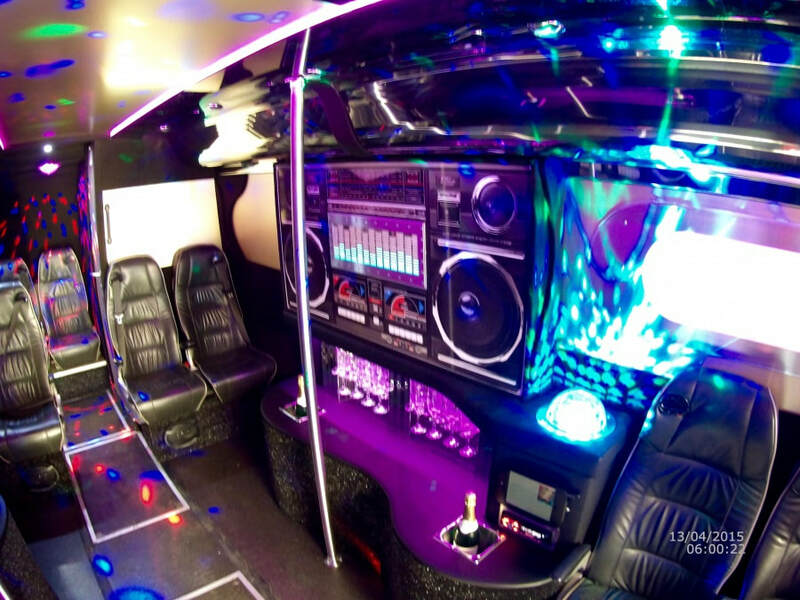 Our Boogie Bus is equipped with a full music system with touch screen jukebox, plush spacious seating area,pole dance area, strobe lighting which is optional, laser lighting, smoke machine and disco lights. Our Christmas Party Season fill up fast and we have our buses available through the festives for every event. We are operating all over Central Scotland so if your having a party and looking for a FANTASTIC start to your night then give us a call and book one of our party buses for you and 15 mates! 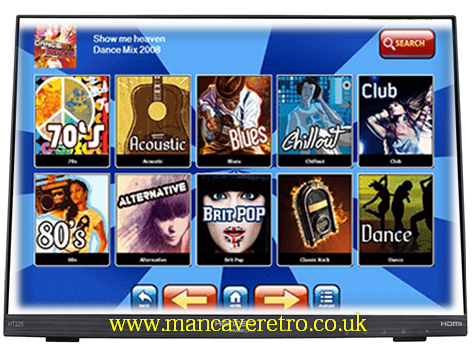 From Kids Parties to Hen and Stag we offer some great extras from bare bum butlers,male and female strippers,party hats,soft drinks and sweets for the kids,balloons and a whole lot more for more information just give us a call today !